See the flyer attached for more information! Through 2018, Mariam Ghani, an artist, writer, and filmmaker, was the Wellcome artist-in-residence at the Graduate Center, CUNY and the New York Public Library. While in residence at the Graduate Center, she and a multi-disciplinary team of graduate student assistants (Harry Blain, Juliana Broad, Eileen Clancy, Jacob Clary, Josh LaMore, Christian Lewis, and Dilara O’Neil) conceptualized researched and produced a film, entitled Dis-Ease, about illness, metaphors, contagion, isolation, and the consequences of a century-plus of waging “war on disease” using archival materials from the collections of the New York Public Library, New York Academy of Medicine, and Wellcome Collection, London. Part of Ghani’s film is included in the exhibition Germ City: Microbes and the Metropolis, which opened in September 2018 at the Museum of the City of New York (ends April 28, 2019). 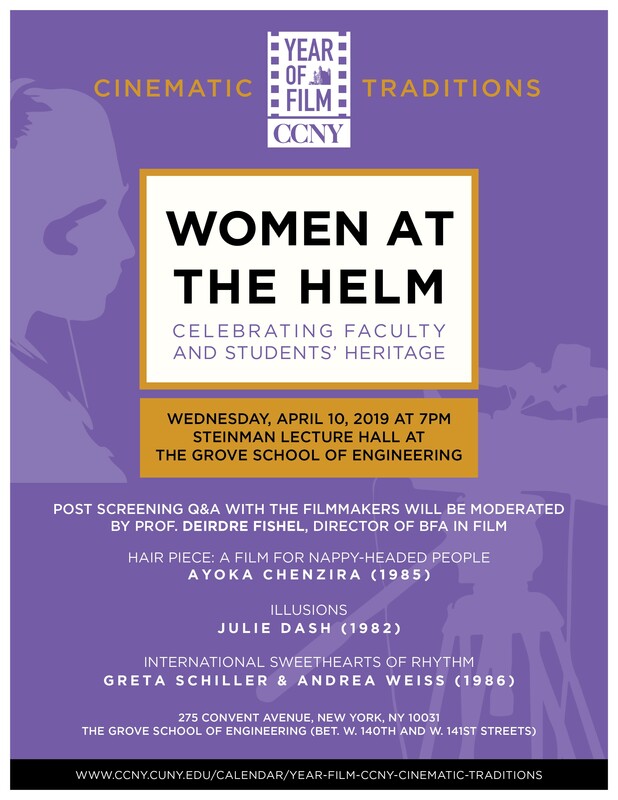 The Graduate Center will host a screening of the full version of Dis-Ease, followed by a panel discussion with Mariam Ghani and her team of graduate research assistants. This event is free and open to the public, but RSVP is required; click here to RSVP. At the last Cannes Film festival, a collective of Black and mixed-race French actresses published a resounding manifesto entitled Black isn’t my job. They denounced systemic discriminations in their access to roles and the stereotyping of Black characters in French cinema, and called for a larger inclusion of Black persons in their movie industry. Their mobilization revealed a rising awareness and a rejection of long-seated discriminations of Black people in French culture. Curated by award-winning film-maker and screenwriter Isabelle Boni-Claverie (currently teaching at NYU’s Institute of French Studies), this three-day film retrospective and conference explores changing representations of blackness in French cinema through a cross-disciplinary approach. We will screen documentaries, features, and shorts from France, Africa and the U.S., ranging from 1956 to today — many of them rarely available in the U.S. Roundtables will bring together directors, actors, and scholars from France and the U.S. This evening’s performances are the live component to the exhibit at the Gallery of the College of Staten Island, entitled Playthings and Performing Objects. This event explores how objects and images can be constituted to manifest themselves and enlisted toward statements and positions that resist current political culture. The evening’s performances and films feature not only resistant bodies and voices but also explore ways in which animated objects and moving images can serve to form a phalanx against encroaching rightwing forces in the United States, Brazil, and elsewhere. Included in the event is Zoe Beloff’s film Exile, a new toy theater performance of Terror as Usual by Great Small Works, and performances by Camel Collective and Natalia de Campos and Thiago Szmrecsányi. Click here or see below for the full schedule and more info about the event and participants. Join or share via Facebook here. 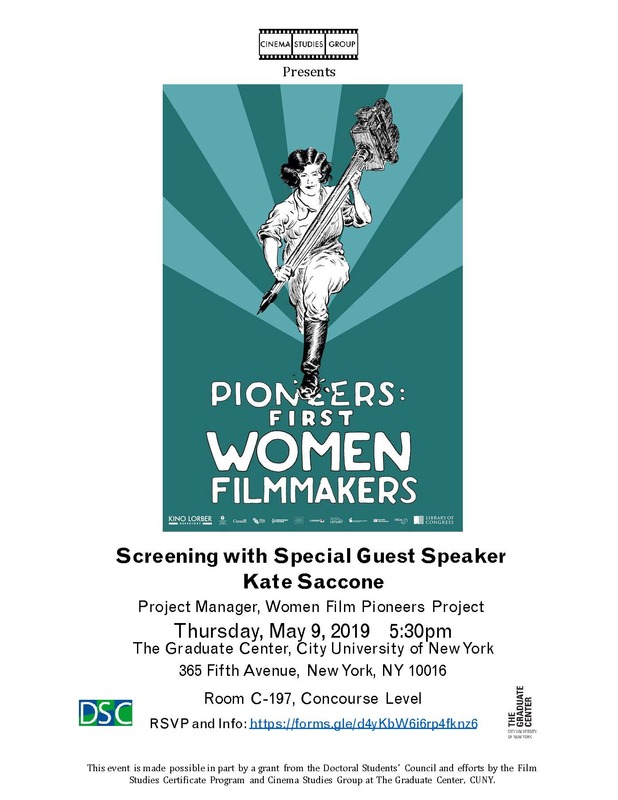 Sponsored by The Center for the Humanities, the James Gallery, the Film Studies Certificate Program at the Graduate Center, CUNY, and the Art Gallery of the College of Staten Island. The Inwood Film Festival [inwoodartworks.nyc] being held this weekend. The focus of the festival is to celebrate Inwood and its surrounding community through the moving image. All films submitted were shot in Inwood or its surrounding community or made by past or present residents of Inwood or its surrounding community (student films as well). Over half of the festival films are made by under-represented demographics in the film industry. The festival is Friday, March 15th and Saturday, March 16th at the Campbell Sports Center on 218th street and Broadway. In addition to the film screenings there will be two film seminars led by industry veterans (pay what you can) on Film Scoring [inwoodartworks.nyc] (Friday at 4pm) and Film & TV writing [inwoodartworks.nyc] (Saturday at 5pm). The Graduate Center’s Teaching and Learning Center’s Open Teaching Initiative is pleased to launch the Open Classroom Month. Designed to help prepare and familiarize Graduate Center students with CUNY’s undergraduate classrooms as well as a range of instructional models, Open Classroom Month invites Graduate Center students to visit classes taught by experienced CUNY faculty. Observing how other instructors develop and implement lessons, manage discussions, utilize classroom space and technology, and mix instructional methods can help Graduate Center student instructors evolve as teachers, and, for those just starting out in the classroom, can help demystify college instruction. Numerous faculty from a variety of CUNY campuses and disciplines have generously agreed to open their classes from March 9th-April 11th. To browse the complete list of open classes, please visit http://cuny.is/open-teaching. You can view Open Classes by campus or by teaching method keyword. Participating instructors have provided a brief description of their teaching practices and what you can expect to experience during the class visit. To sign-up to visit a class, click the “sign-up to visit” link and use the Doodle Poll scheduler to see all available dates and times. Please be certain that any sessions you select fit your schedule, including commute time to campus and navigating the classroom. The day before you visit the class, please send the instructor a brief email to let them know you’ll attend. You will need to sign-in at the front desk of each campus using your Graduate Center ID card, so please budget time to do so. Make sure that you’re able to arrive at least five minutes early to the course, and, if you can, introduce yourself to the instructor. Participating faculty have generously opened three spaces/visit in each class session, so be sure to sign-up as soon as possible and/or remove yourself from the sign-up if your schedule changes. The Teaching and Learning Center will notify each instructor to expect your visit. Maps to each CUNY senior campus can be found here. Thank you for your interest in Open Teaching Month, and we sincerely hope you’ll be able to take advantage of this opportunity! What happens when we incorporate the non-human material world into academic conversations? As part of the Object Library’s ongoing inquiry into routes to knowledge beyond traditional methods and existing discourses, this series of seminars co-presented with Henri Peyre French Institute invites the public to join us in study once again, taking material culture as our point of departure. With topics ranging across new areas of research, each presenter is encouraged to bring-a-thing-along or propose an object that might sit in creative tension with the seminar discussion. All are welcome, but a commitment to attend is necessary, as is reading in advance any materials supplied. The final event, held in the Object Library, will lodge seminar-related objects—both suggested by seminar attendees in response to our conversations or brought along to the final session—into our temporary installation, 365 Things. 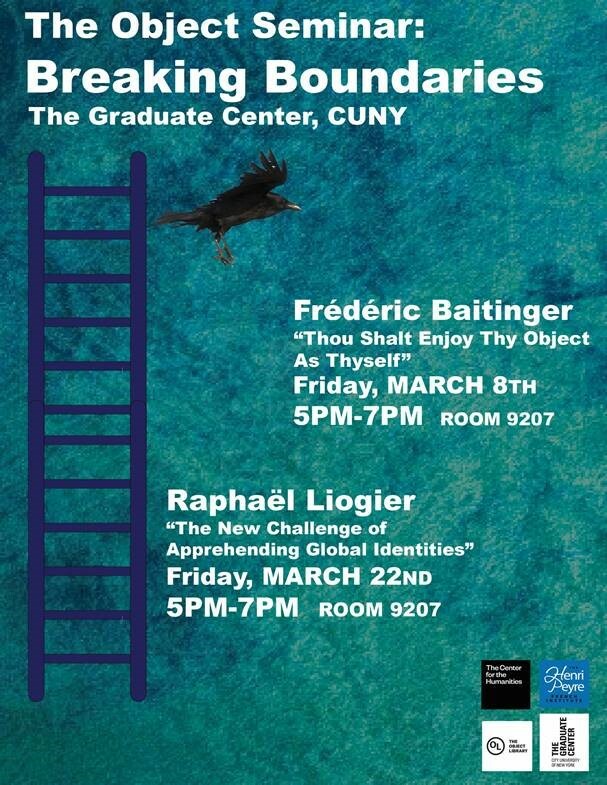 The Henri Peyre French Institute is proud to organize this seminar series in conjunction with the Center for the Humanities at The Graduate Center, CUNY and its Object Library project. The Henri Peyre French Institute is dedicated to promoting a broad, transdisciplinary, and transnational understanding of major cultural issues across French and Francophone studies through public programs concerning the arts, history, society and politics. This current seminar series seeks to showcase work in these areas that breaks disciplinary boundaries, asks new questions, and alters current paradigms. 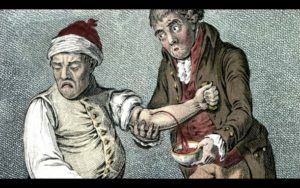 The Object Seminar: Breaking Boundaries series is co-organized and sponsored by the Henri Peyre French Institute, and The Object Library from the Center for the Humanities at the Graduate Center, CUNY. Photo by Valerie Tevere, print materials courtesy of Interference Archive. In the early 1960s, 12” long-playing albums and 7” “singles” took over the recording industry. The Civil Rights Movements took notice. The Congress for Racial Equality released Sit-In Songs: Songs of the Freedom Riders in 1962. The Student Non-Violent Coordinating Committee’s Freedom Singers quickly followed, releasing their first single and album—both titled We Shall Overcome—in 1963. Over a dozen recordings of Martin Luther King, Jr. were released in the 1960s. In the 1970s, music becomes a key part of the struggle against the rightist coup in Chile, and in the 1980s the antiapartheid movement grew through recorded music. 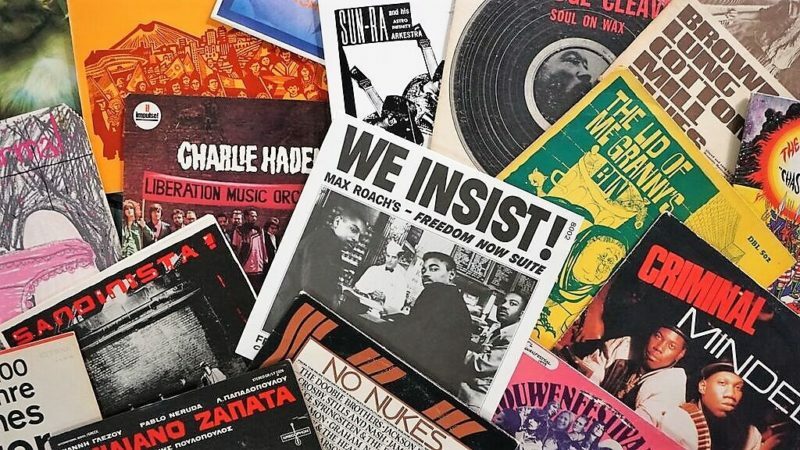 Journey into politicized sound with archivist and artist Josh MacPhee for a collective listening session and discussion of the cross-over between mass-distributed pop music and political movements. Sponsored by The Center for the Humanities, Interference Archive, the Film Studies Certificate Program of the Graduate Center, CUNY, and the Art Gallery of the College of Staten Island in conjunction with the exhibit if a song could be freedom…Organized Sounds of Resistance.